- is it possible to choose between the sim or phone memory? I mean to use only one at the time? is there anyway you can play uploaded videos in full screen?? cos when i use the progrm given in the cd it automatically adjust the video size to 176x144.. or can i change the video size manually?? Good phone,great photo with nice picture,large screen,clear,clean photo,video not bad.The more you play with the more future you'll find out.No bluetooth,for me I do not need very much!Battery so good,much better than AudioVox and Motorola,two brand I had so far.Never trouble with drop call since the day I got it,about a month.As someone said earpiece not low enough, I adgree with that, but I believed it little depend on the other caller,strong voice should be no problem for receiver.If you use original stereo headset from Panasonic,so great,no problem at all.Ring tone good enough to wake people up.I put it inside my jacket while working in the building,I never miss a call.Bottom line is this was the very good phone with me, and made me trust the brand Panasonic, SA6.Hope this will help someone more clue to make decision when they want to buy a phone.My phone UNLOCK and could use with any network with GSM network,no problem!Thanks and good luck! box.panasonic.com. It will show you more informations you needed.Thanks and good luck everyone. I go this phone few days ago, it's adorable, I love it. I got only one problem, I can't configure my mms settings. Can you help me? Thanks:). this phone is simply adorable!!! 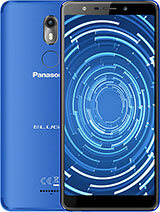 does anyone know of a site where i can find codes for the panasonic sa6? i'm interested in finding out wether the telephone was in service or the software has been tempered with. thanks. Would like to enquire on whether its possible to change the 2 soft keys (message center and browser) to other directories? And, whether there are any products anywhere which can mute the camera sound? Thank you guys so much in advance, don mind can email me or just post the answers here. Early Happy New Year!! 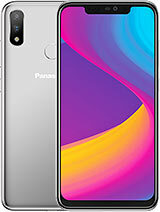 I'm very interested in this phone but I need to know if you it is possible to transfer a desired MP3 song as a ringtone (without problems) and if it sounds loud. 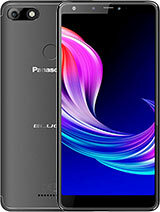 hello everybody,well i love this phone and i had a phone with mp3 player and with a lot of games and all and i didnt used them so much,so i want a phone with nice features and long lasting battery and lets not forget a superb screen! 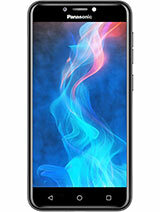 and i think this is an excelant phone! i want to ask some of u who have this phone about the quality build and the flip,is it any good? please contact me on my mail if u have it and tell me ur opinion,i would really apreciate it! This is the best cell phone of my life. There is no need for an external screen - the led is a very smart addition. Divide your people to groups, and assign colours. Its the same. Excellent user interface. i the best phone posibilitees.but i need driver for tshis phone.can helt me? The best!16.700.000 colors and 1660 mAh batery!omg!Nokia and Samsung and S-Ericsson will have to try harder next years to have this on their phones.My phone has a30 days stand-by! 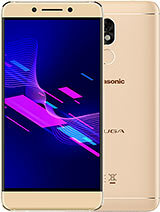 i am thinking of buying the panasonic sa6 but not sure if it is worth it... may i konw if the memory is big enough and how do u transfer the pics and video clips you took into the computer... i don't know how to use infrared can someone pls help me thank you. please someone could tel how to transfer a mp3 with an IRDA USB. It says "there is not enoungh space" and the memory is almost empty. I realy need help. can anyone tell me what memory has this phone?does it have flash?and extern screen? Finally! Excellent model. It works adecquate without the second external display because of the info diode. After charging, battery endures 7 days. Messages and calendar are very well organized, searching is the best part of SA6. Pictures with 16M colors are fantastic!!! 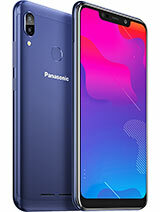 Total of 52 user reviews and opinions for Panasonic SA6.